I've read this book along with the series of I'm sure went up to about 3 or more other books. I read them around the year 2008 or 09, I can't remember most of the story because I was young but I loved it. 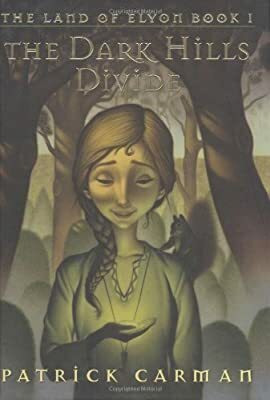 The book cover showed a little girl maybe the age of 11 to maybe early teens holding/cupping a green stone that I think could give her the ability to talk to animals or do some sort of ability. I could be incorrect about some of the details, it has been nearly 10 years since I've read them. An extraordinary debut weaving magic and heroism into a classic tale of good and evil, featuring a heroine you'll never forget. As Alexa begins to unravel the truth, pushing beyond the protective barrier she's lived behind all her life, she discovers a strange and ancient enchantment -- and exposes a danger that could destroy everything she holds dear. At the beginning of the first book, her mentor, Thomas Warvold, "dies", and it's later revealed that he faked his death later on in the series. The green stone pictured on the cover stone gives her the ability to talk to animals. The book starts by Alexa going on a walk through the streets of Bridewell with her adventurer friend Thomas Warvold. During the stroll, Warvold tells Alexa a fable that he heard on one of his far-off journeys. When the fable is finished, Alexa finds that Warvold is dead. Later on, Alexa uses the silver key to open a passageway hidden behind her favorite nook. At the end of the passageway, outside the wall, Alexa is greeted by a short man named Yipes, who seems to have been waiting for her. Alexa follows Yipes up Mount Norwood and comes to a glowing pond. Inside the pond, she finds a green stone. Once she puts it in her leather pouch, Yipes takes her to his house. Waking up from her sleep, Alexa finds that she has the ability to talk to animals. Darius, a wolf separated from his family, leads her to a tunnel under the walled road between Lathbury and Bridewell. Novel about a girl living in submarine, becomes fish if water touches her?